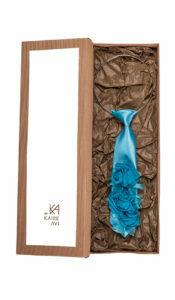 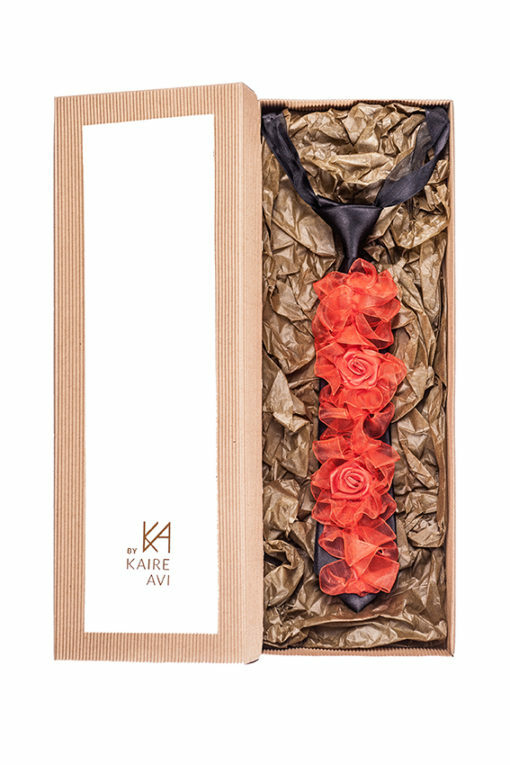 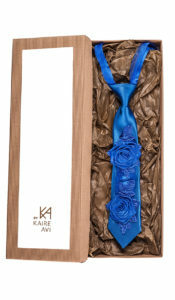 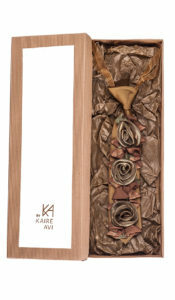 If you look up to contemporary style icons, there is no better trick for enhancing femininity than masculine style.Designer ties By Kaire Avi bring totally necessary romance into the fast-paced contemporary life. 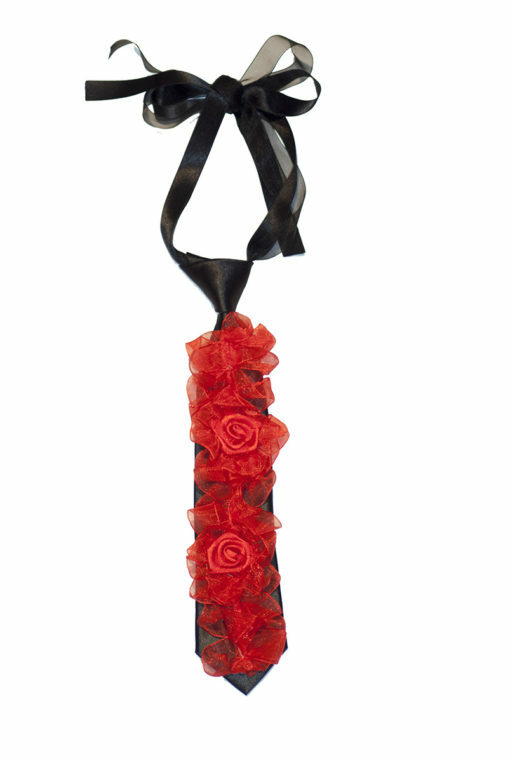 Pendant tie with black and red set of colors and hot fashion flowers is always elegant and seductive! Nicely packed in a gift box!